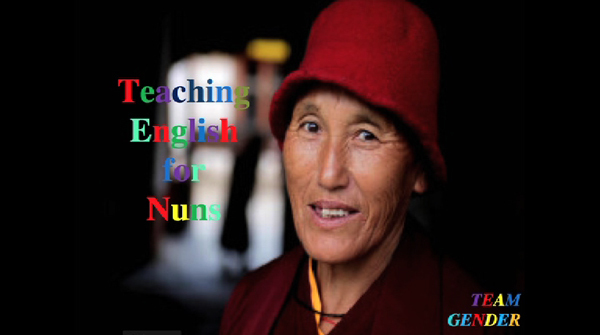 The nuns of Thangthong Dewachen Nunnery in Zilukha in Thimphu will soon be able to learn the basics of English. A group of youth proposed a project – English for Nuns – during the Youth summit organised by the Bhutan Centre for Media and Democracy (BCMD). The summit ended on Friday. For now, the project aims to teach English to around 50 to 100 nuns on a voluntarily basis. The group adopted the idea from the ongoing practice of teaching English to monks in various monastic schools. The project, English for Nuns, aims to create an equal opportunity for nuns to learn the language. “There is teaching English project for monks but for nuns, there isn’t such initiative. So we wanted to bring gender equality in education and also intend to focus on increasing the literacy rate in our country, said Sonam Lepcha, graduate from Sherubtse College. Other projects presented at the summit include coming up with a water treatment plant, adoption of a stream and providing first aid training to students among others. The Youth summit, organised annually, provides a platform for youth to realise their roles and responsibilities in a democracy. “By bringing together the youth from different parts of schools and colleges in the country, we just give them the platform for discourse, to talk about important social issues and see where they can intervene,” said the Communications Officer of BCMD, Tempa Wangdi. To implement the projects, the BCMD will provide the youth groups with a start-up budget. Around 90 participants from various schools and colleges from across the country took part in this year’s Youth Summit.